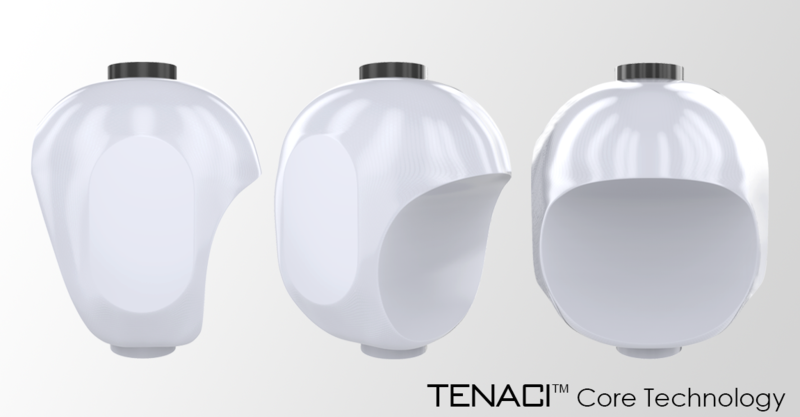 The first ball release under our new manufacturing contract will feature the revolutionary TENACI Core. Created originally for the VENATOR ™ (2013), the TENACI ™ core is entirely designed around bowlers grip to reduce the amount of core being removed when drilling the ball. Reducing the amount of inner core material which is removed while drilling will dramatically reduce the deviation from "Designed Specification" to "Drilled Specification". This means that you are better able to predict the resulting performance characteristics of the bowling ball from “Pre Drilled” to “Drilled” and across most bowling styles and ability levels. All bowling balls are advertised using Designed Specifications, but the moment you drill into them you alter the static properties of the ball. When rolled, these changes to the static properties alter the dynamic characteristics of the bowling ball, resulting in a different ball reaction than you may have been expecting. Combining the design shape of the TENACI core with very strong dynamic properties, we can provide you with a more predictable, stronger rolling ball which will improve your carry percentage and ultimately, your average. Look out for further information on our new release coming shortly!